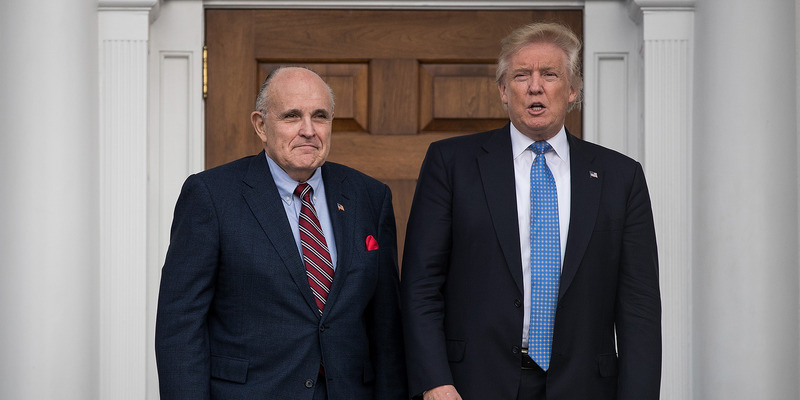 Drew Angerer/Getty ImagesRudy Giuliani and Donald Trump. Giuliani said that is he leaning towards not recommending Trump to interview with special counsel Robert Mueller. Rudy Giuliani said Sunday that President Donald Trump should not testify in the Russia probe because “our recollection keeps changing” about certain incidents that the special counsel Robert Mueller is investigating – particularly a now-infamous statement explaining a 2016 Trump Tower meeting. Giuliani made the remark when he was asked by George Stephanopoulos of ABC News about the differing explanations for a misleading July 8, 2017 statement from Donald Trump, Jr. regarding the Trump Tower meeting he held with a Russian lawyer and other Trump campaign officials in June 2016. Trump’s lawyers and the White House had previously denied that Trump dictated the statement, declaring that Trump Jr. wrote it himself. But in a 20-page memo to Mueller, which was obtained and published by The New York Times on Saturday, Trump’s lawyers admitted that Trump himself dictated the statement. 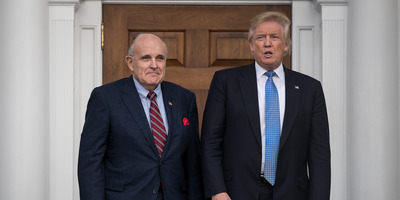 Giuliani also made a number of other explosive comments during his media appearances on Sunday, including remarking that Trump “probably” has the power to pardon himself, and that shutting down Mueller’s investigation could lead to the president being impeached.